What is the Best Massage Chair for a deep tissue massage to relieve lower back pain? 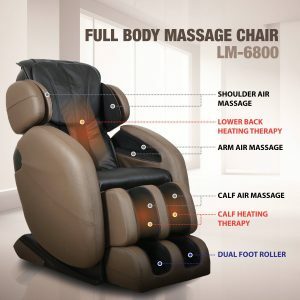 My conclusion in this review is that the Kahuna LM6800 Massage Chair is the best investment you can make for an affordable massage chair to help relieve your back pain and improve your quality of life. Many people who have never owned a massage chair rely upon massage chair reviews by people like me who have first-hand experience of owning a massage chair. I have owned more than one. In this review, I will answer that question based on my first-hand experience and help other make a decision about whether to buy one of these chairs. I will discuss my long history with massage chairs and my search for a remedy to relieve my back pain. Deep Tissue Massage as an effective relief for back pain. The first orthopedic surgeon injected me with a needle long enough to inject a horse. That gave me relief for about two months or so. Then the pain came back. Then, I went back to my primary care physician. I told him that I was reluctant to let that surgeon cut me. He understood my apprehension and suggested that I get an opinion from a neurosurgeon. Upon receiving the referral, I made an appointment and visited the neurosurgeon. After a review of my records and the images from previous tests, the neurosurgeon shared his evaluation with me. His recommendation was that I did not need surgery. He correctly diagnosed that while my pain will occur from time to time, the risks of back surgery and neck surgery outweighed the benefits. I am not 100 percent sure what is causing my lower back pain. My MRI’s reveal some osteoarthritis, a cyst in my lower back/hip area, and some possible disc injury/wear and tear in my lower back. Where is the Lower Back Pain Coming From? A second orthopedic surgeon gave me another one of those long needle injections in my hip area. His intention was to identify whether the pain was emanating from my lower back or from my hip area. It was a cocktail of a painkiller and a steroid/anti-inflammatory. He wanted to isolate whether the source of the pain was from the hip or from the lower back. Depending on where the needle is injected, the cocktail, I am told, has the potential to successfully relieve lower back and hip pain. Also, he raised the possibility that the source of the pain could be the muscles in the lower back right at the intersection of the tailbone. He referred to it as tennis elbow of the back. As I have pursued these various medical interventions, I have found the need for some remedy to relieve lower back pain when I need it. What I will share with you now is the remedy that has worked consistently for me. Now keep in mind that my lower back pain is not cured. As I said earlier, I have no intentions of letting anyone perform surgery on my back or spinal column. My pain is not the result of a car accident. It is possible that I could have caused this pain by exercising too hard in the gym, by engaging in sports or athletic activities, or it could just be wear and tear as I get older. Either way, I quite often have the need for a remedy at home. I have been prescribed pain medication; however, I am reluctant to take pain management medication on a consistent basis. Many people who have done so have ended up being hooked on opioids and have compounded their health issues. Instead, I decided to make an investment in me. I became convinced of this remedy to relieve lower back pain at home quite by accident. My first exposure to a massage chair was while traveling through the airport in Tallahassee, Florida. That was almost twenty years ago. While in the Tallahassee Airport, I had some free time before my flight came. So I wandered into a little massage parlor inside the airport. It seems like quite a few people had the same idea because the place was quite busy. One of the masseuses said to me, “why don’t you try the massage chair while you wait.” Prior to that, I had never seen a massage chair before, and I had definitely not experienced one. WOW! The chair completely relaxed me. When it was my turn for a massage, I followed up my chair massage with a human massage. I had the opportunity to compare the two. The chair gave me an awesome massage. In my opinion, it was better than the human massage. I was so impressed with that massage chair, I left that airport with one thought. ” I have got to get me one of these”. At the time, Sharper Image had massage chairs for sale via an online auction. I entered one of those auctions and bought my first massage chair. I live in Broward County, Florida. If you’re not familiar with Florida, Broward is the Fort Lauderdale area. The second massage chair I purchased was a heated massage chair. Now, I must caution you that these massage chairs are not cheap. Over the years, I have owned two of them personally. I purchased a third one for my Mom. I mention these facts to underscore that I have a lot of personal, at home, experience with massage chairs. I can honestly say that a heated massage chair is the best massage chair to relieve lower back pain home. While the current chair cost me approximately two thousand dollars, I have zero regrets about the purchase. It has never broken down. I have never had to call a repair person to have any of my massage chairs serviced. Twenty years later, I still have my first chair. I keep that one in a guest bedroom; however, I subsequently bought another one. I bought my second one because I am quite tall, and I wanted a chair that was big enough to give me a back massage as well as a neck and foot massage. I am 6ft 4ins. The first massage chair did, and does, a good job; however, it wasn’t big enough to fully cover my body. And it wasn’t what i would now consider the best massage chair. I needed a heated full body massage chair. The first one didn’t have heat, either. The heat made a significant difference for me. A heated massage chair really helps to relieve lower back pain. It is the best massage chair if you suffer from lower back pain. If you want to relieve lower back pain, then I recommend you invest in a massage chair with heated rollers or one with a heating mechanism. 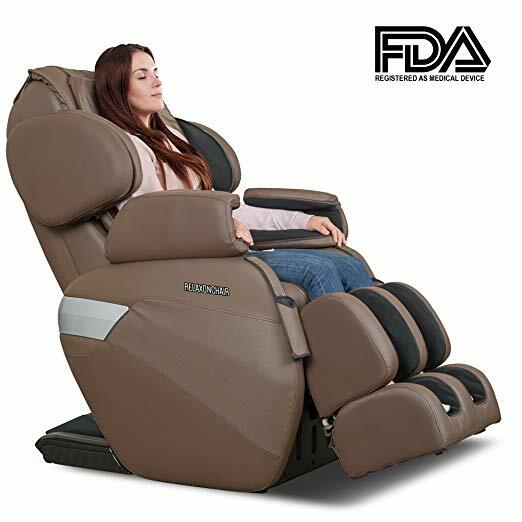 Below, in this massage chair review, you will see listed some of the key features which a massage chair should have if it is going to be considered as the best massage chair. First, an affordable price range is important. Can a chair compete with some of the top high-end chairs in features and performance and yet still be within a price range that is affordable to the average person? Before buying my current massage chair, I did some online research. I wanted to explore the various features and the newest technology available. Also, I wanted to ensure that the chair I purchased had features to help relieve lower back pain. The first one didn’t have heat, either. The heat made a significant difference for me. A heated massage chair really helps to relieve lower back pain. If you want to relieve lower back pain, then I recommend you invest in a massage chair with heated rollers or one with a heating mechanism. 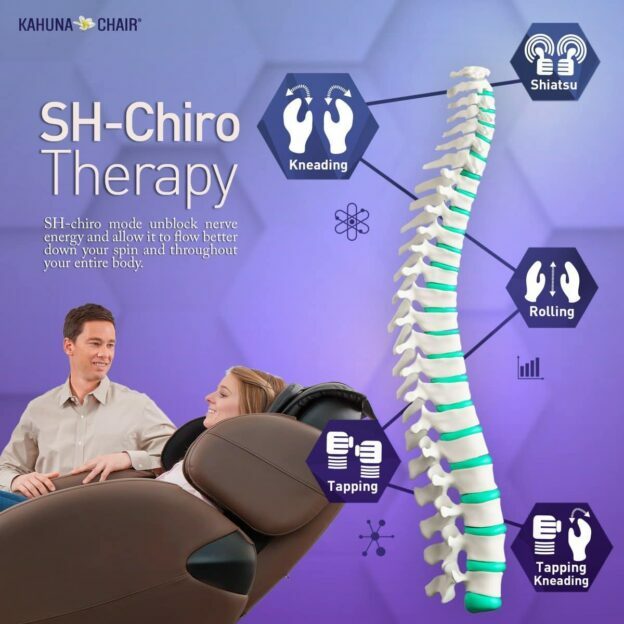 The Kahuna LM6800 Massage Chair is a solid choice if you are looking for the best massage chair in an affordable price range to help you relieve lower back pain at home. At present, this chair has approximately 377 reviews on Amazon. That number of massage chair reviews means that many people have purchased this particular chair. A whopping 73% of those reviewers have given this massage chair the highest rating of 5 out of 5 stars. That means that the people who have used this particular chair absolutely love it. That is a very good sign. 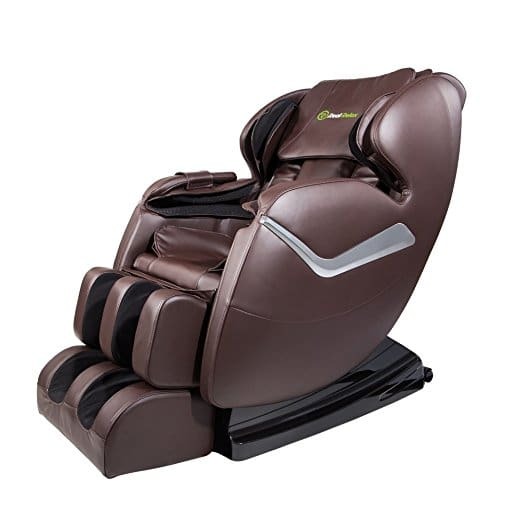 Below, we have shared a description of the key features of this Kahuna LM6800 Massage Chair. Look them over. If this chair is within your price range, based upon these stats, you really can’t go wrong. 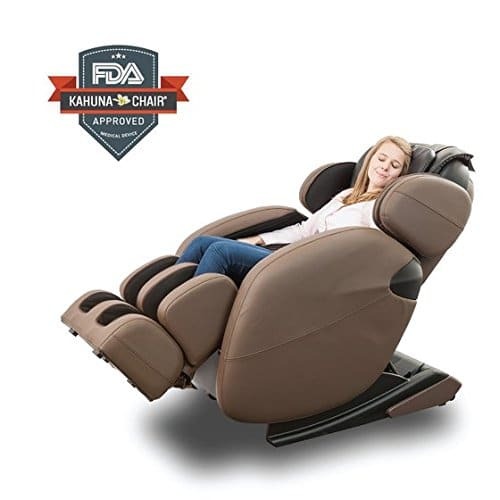 Considering that massage chairs with comparable features can cost as much as $5000.00 to $8000.00, the Kahuna massage chair is packed with features at a price not matched by others. What Exactly is Zero Gravity position? If your goal is to relieve lower back pain, then zero gravity position is a most effective position to effectively enjoy your massage and achieve the desired results. 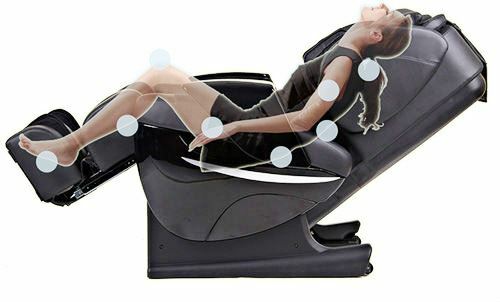 Zero gravity massage chairs normally help spread the user’s weight across the chair. This relieves stress on the body and allows for a deeper, more intense massage experience. From my personal experience, reclining in this position allows the massage rollers to really penetrate the muscle tissues in your back area. Usually when I do this with my massage chair, not only does the massage relieve lower back pain for me, but the combination of the heat and massage in this position relaxes me so much that I fall asleep. The reduction of stress on your body is so effective you’ll feel virtually weightless as a result. When reclined fully, to where your legs are higher than your heart level, the therapeutic effects are incredibly effective and may be felt immediately. If you have spinal or disc injury, then you want to be careful in this position and, especially, with the intensity settings of the massage chair. As we said earlier, a massage chair is not only a therapeutic device, it is also a piece of furniture. Therefore, you want your chair to blend in with your existing Family Room or Living Room furniture. Not only do you want your massage chair to blend in, but you also want it not to displace the rest of your furniture. This is where the advantage of space saving technology makes sense. Space-saving technology only requires 3 inches from the wall during zero-gravity position transition. Unlike Ordinary chairs, space-saving technology chair slides forward while reclining so it does not require unnecessary space in the back. With this new technology, the chair will be able to be aligned with other furniture. If you have flown on newer model airplanes, you will recognize this technology as it is embodied in the passenger chairs in many of the newer planes. Prior to this, the passenger in front of you could recline on you and crush your knees. Here are some key things you should look for when looking for the best massage chair. Do you suffer from shoulder, upper back, mid-back, or lower back pain? If you suffer from pain in any of these areas, you should consider investing in a massage chair for your home. Massage chairs are specifically designed with one or more of those areas in mind. Therefore, investing in a massage chair to help relieve lower back pain is a good decision. Buying a massage chair to help relieve lower back pain has been a good decision for me personally. I have no regrets about the money I spent to purchase this exotic, yet very therapeutic, piece of furniture. Do you suffer from chronic leg pain? If you do, then you should consider a good length, full-body massage chair. Most of the good full body massage chairs are capable of giving you a better leg massage than a masseuse. My chair has multiple airbags in the leg and foot area. Also, my chair supplies heat not only in the back but also in the leg area. How severe is your pain? If you’re experiencing severe pain, then you definitely will want to consider a heated massage chair which stretches your body. My pain varies. Sometimes it gets to be very intense. Other times, the pain is less. The combination of the heat, the variety of the massage functions, and the back stretching do the trick for me. When my back pain starts to bother me, my heated, full body massage chair definitely gives me relief. What features in a massage chair are most important to you? Is the chair long enough to fit your body? I purchased a second chair specifically because I wanted massages from my head and neck all the way down to my feet. How wide and how narrow do the rollers go? Does the chair have a heated back or heated buttocks? Does the chair offer a foot and calf massage? If so, is the foot and calf massage heated? What is the quality and durability of the fabric? Most good massage chairs do not utilize genuine leather. Instead, they utilize a synthetic leather or vinyl material to cover the chair. Genuine leather is an important consideration when buying a sofa or loveseat. However, it is not necessary to have genuine leather in a quality massage chair. Nevertheless, keep in mind that there are different qualities of vinyl or synthetic leather. Some inexpensive chairs use a cheap vinyl. The problem with this is that the fabric could deteriorate even though the chair’s machinery still works. The fabric in the chair will be subjected to years of intense kneading, tapping, rolling and heat. Over time, this intensity will destroy a cheap vinyl fabric. 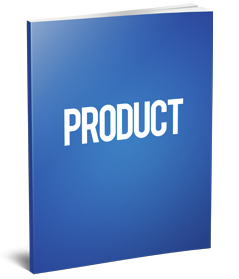 A good manufacturer will choose a very soft and pliable, yet durable vinyl. A hard vinyl will crack from the heat and the constant kneading, tapping, and rolling. Likewise, a vinyl that is soft but cheap will peel in a couple of years. A massage chair is both a therapeutic device as well as a piece of furniture. You want the fabric both to last and to look good over time. A heated electric massage chair can help relieve lower back pain. A full body, heated massage chair, as experienced by me personally and as witnessed by many satisfied customer reviews, has helped many people relieve lower back pain. 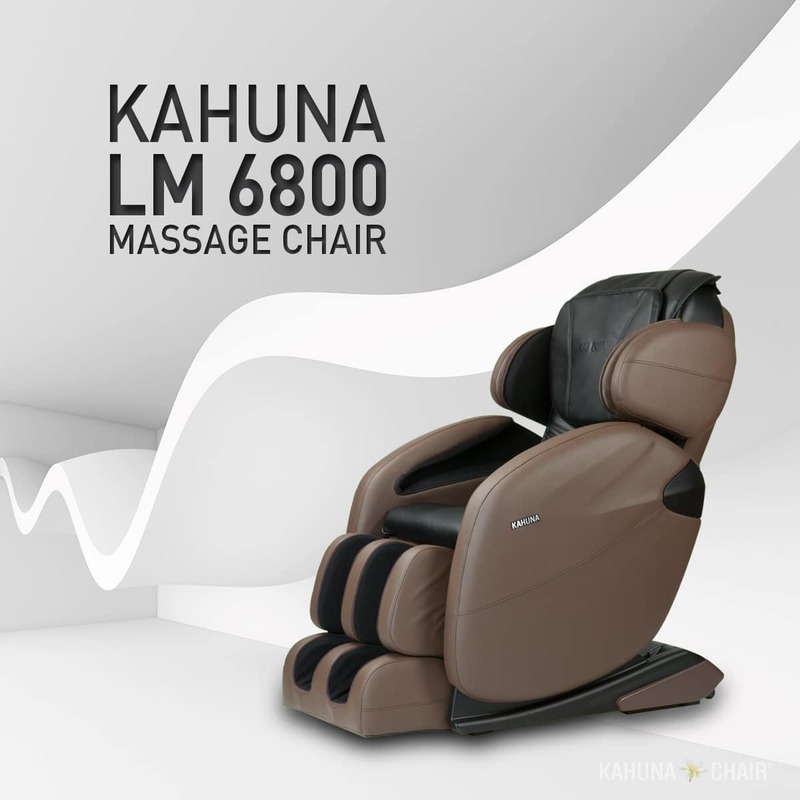 The Kahuna LM6800 Massage Chair is a solid choice if you are looking for a massage chair which has all of the necessary and desired features, is durable and well built and is available in an affordable price range to help you relieve lower back pain at home. When you compare the features to the price, the Kahuna Massage Chair is clearly a candidate for the best massage chair.